Everyone’s talking about their election hangovers but I think there’s more going on. This week clients and friends are telling me that they’re out of sorts. Tired. A bit overwhelmed. Depleted. Drained. With this election we’ve endured an onslaught of ongoing toxicity that’s bound to take its toll. The constant negativity. The he said/he said. Polarization. Clashing world views. Blue states vs. red states. Add it all up and it’s a recipe for collective distress. As one friend said, “It’s been crazy-making.” Yep, I agree with that whole-heartedly, even though my guy won. Being happy with the results doesn’t necessarily mean you get a pass on the effects of fight/flight and your body’s stress reaction. One of the best things we can do for ourselves right now is go to our personal list of self-nurturing, self-soothing activities and actually do something on the list. Or if you don’t have such a list, create one and then take action. 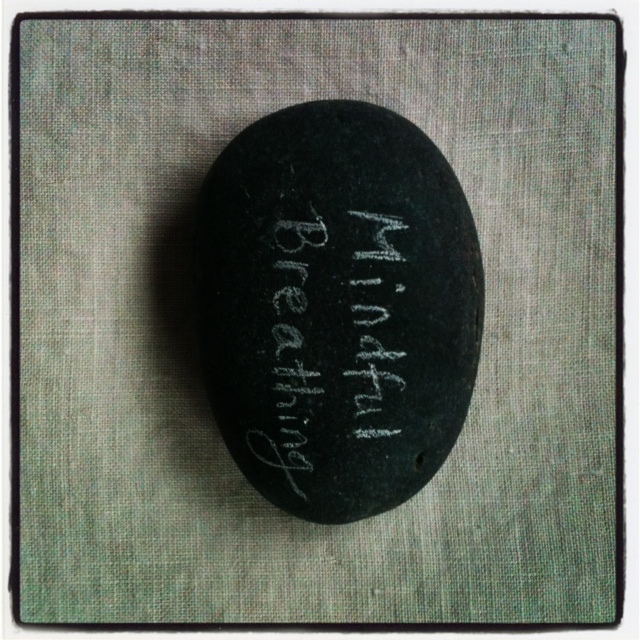 *Practicing mindful breathing. This is one of my favorite free recordings. I like it because the voice is soothing, it’s only seven minutes long and I can do it several times throughout the day. *Walking in the park or by the river every day. 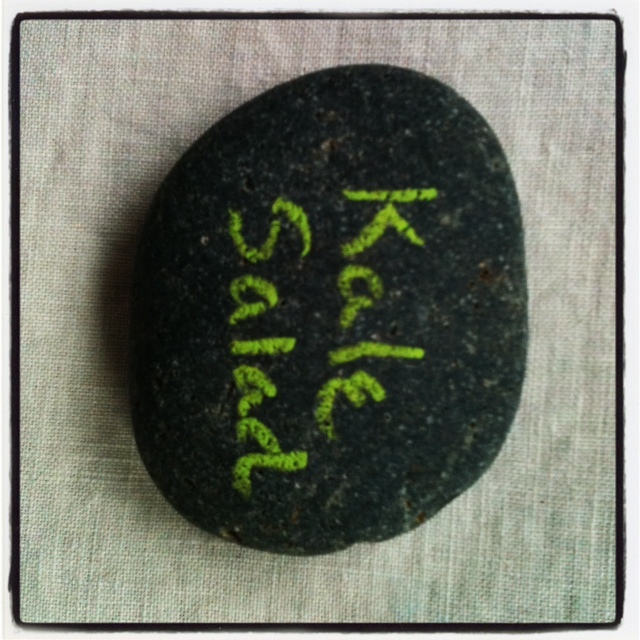 *Making this kale salad, the absolute best. Nourishment with a zing. Supplemented by green tea and dark chocolate. *Resting, napping, reading, going to bed early, soaking in the hot tub. *Listening to music. Right now I’ve got gypsy jazz from the SF Hot Club playing on my iPod. For me it’s a good combination of both soothing and upbeat at the same time. *Smelling the scent of lavender. 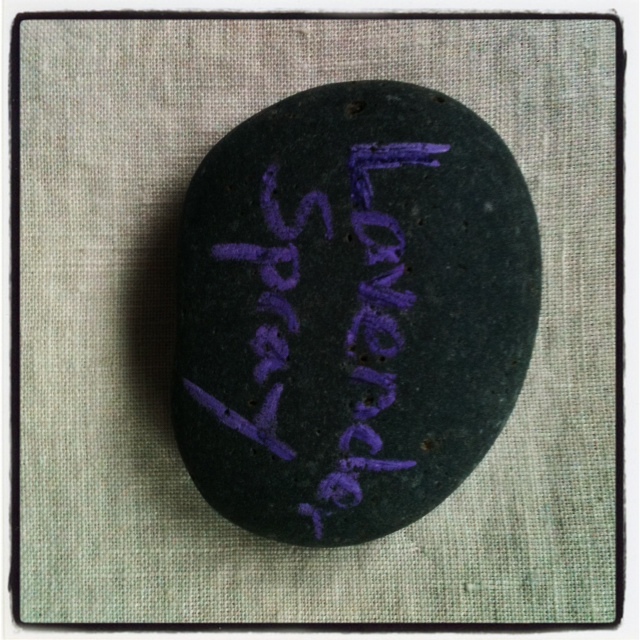 I’m loving this lavender spray that just arrived a few days ago. 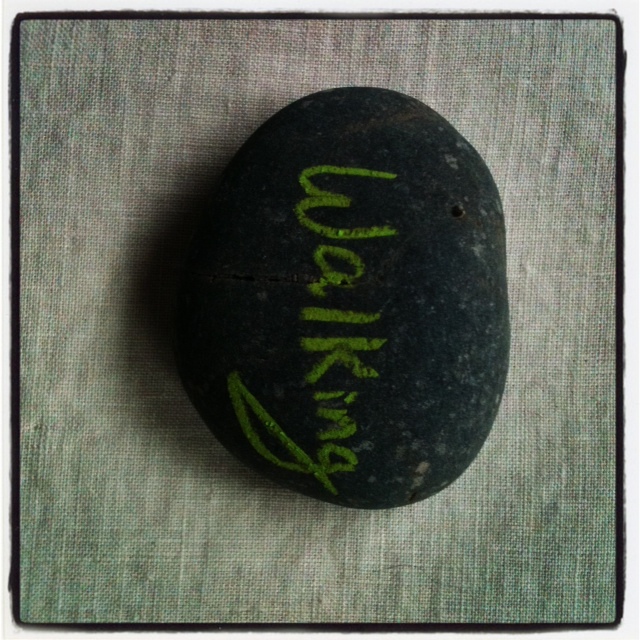 *Practicing simple, hands-on creative activities, like writing on beach rocks with chalk pastels! 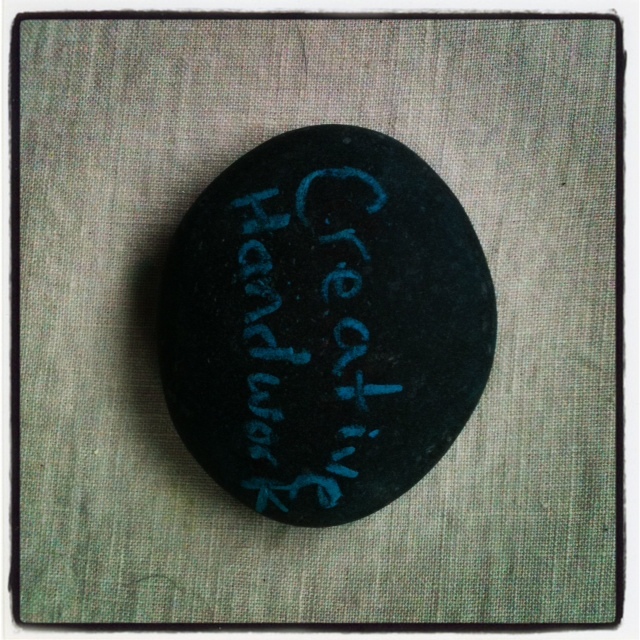 Did you know that engaging in creative handwork calms us by releasing serotonin into our bodies? How do you detox and self-soothe? What a great post! What is it about those little stones that makes you instantly feel relaxed. 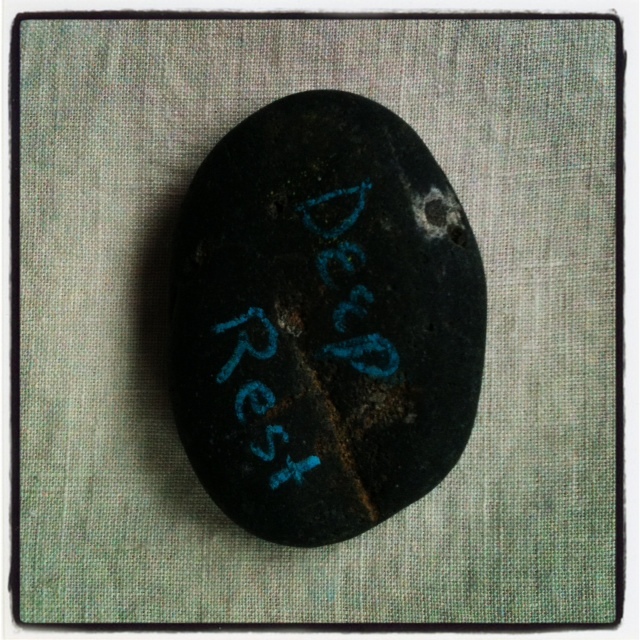 It is like they are little mantras you can hold in your hand. Thanks for sharing and good luck with the new site. It is lovely! Thank you Rachel! So nice to connect with you. 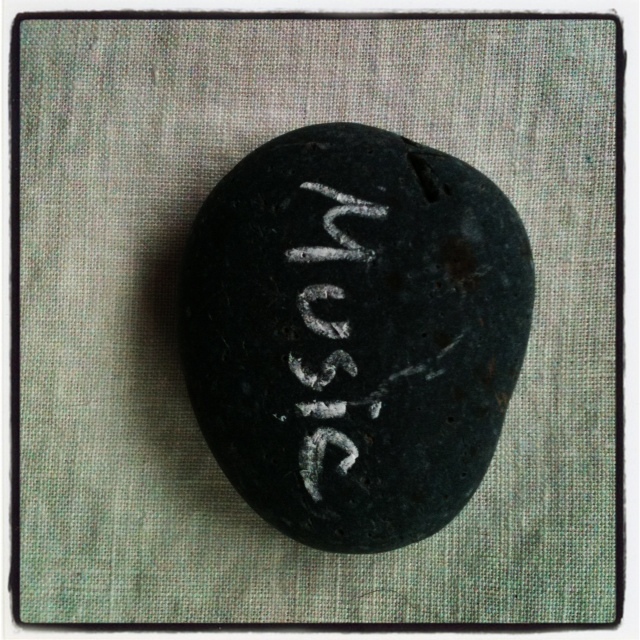 I like how you call the beach rocks “little mantras to hold in your hand.” Perfect description.